Fill in a gap and reduce health inequalities between Black Minority Ethnic communities living in Scotland and the indigenous population. ​Whilst some people living with HIV are living healthy and fulfilling lives many face hardships on their daily basis especially in relation to employment housing and living conditions. 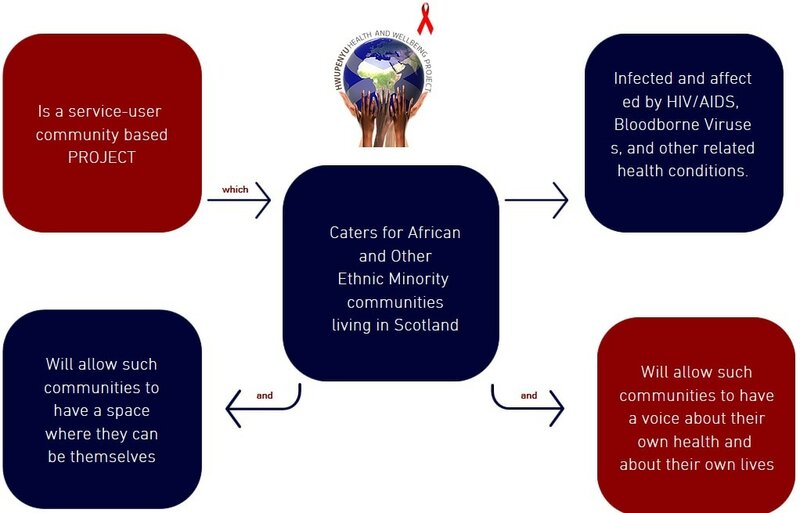 Black Minority Ethnic communities living with HIV experience more health and social care needs than the general population. Black Minority Ethnic communities are coming to Scotland and will continue to come either to study or to settle. Africa is more than just a place; ​it is a huge continent. ​As such, the cultures and languages are not homogeneous. The social exclusion Black Minority Ethnic groups face is exacerbated by factors associated with migration.